Everybody talks about club shows, probably because almost everybody goes to club shows. Your community surely has at least one venue that makes its money with live bands, bar food, and alcohol, and these places can be a home away from home for local musicians. Many places, however, suffer from a tight scene. These bar shows can be hard to get, there can be stiff competition for audiences, and complaints about unfair pay in the club scene are rampant. Fortunately, as your band picks up momentum with your live schedule, there are numerous other places to play, some you may never have considered. Here are five of them. Playing house concerts isn’t just for garage punk bands. There are huge house gigs that are annual events with huge turnouts, friendly audiences, and professional sound. These are a fantastic option when playing out of town. If you know someone who might provide a crash pad for your band in a distant city, offer to play their house in return for bed-and-breakfast services. You’ll get a whole different experience and a different audience – a benefit that all of these alternative gigs can provide. Cities and towns put on their own shows, from sidewalk sales to promote local businesses, to Halloween parties, to farmers' markets. There are annual summer concerts, daytime shows for children’s school breaks, and unique local celebrations like Founder’s Days and local food festivals. All of these events are organized by hardworking volunteers or public employees who have to pull a lot of threads together to make things happen. Since most of these shows are annual events, you’ll have plenty of time to pull a press kit together and find the appropriate contact information. And, of course, since most business deals are made in person, make a point of attending these events yourself and trying to meet the correct power brokers. Event planners hate ambiguity and poor communication. If you can impress organizers as a professional person who brings no drama, that will make an even greater impression than the quality of your music. So be easy to deal with, and you can start to score these town-and-city gigs. What’s a big part of the reason college is so expensive? Well, colleges love to spend money. Every time you turn around, your local university is buying all its staff a lobster dinner or booking a huge, expensive act like Cirque du Soleil. Here’s your chance to at least partially offset your huge student loan debt by getting a college to pay you! Every college and university has professional staff and student groups that are provided with an events budget. They have a mandate to entertain their students; that’s how they keep their students from transferring elsewhere. And they prefer when that entertainment is more wholesome than pouring barrels of beer into people with a funnel. 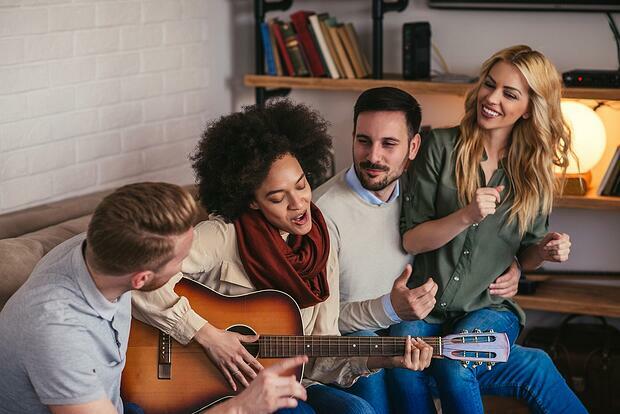 You can be that wholesome entertainment and still have a young, fun crowd that can help get the word out about your band. The biggest challenge here is finding out who to contact. Once you’re booked, the college will most likely offer you a contract, a nice paycheck, and timely payment – three things that club gigs usually don't provide. Keep in mind that you can set the rate… you don’t need to wait for the college to make you an offer! Speaking of spending money, businesses need live music from time to time as well. Your larger local employers have events like holiday parties, conferences, and celebrations for the corporate goals they’ve achieved. If there’s a big soda-bottling plant, frozen-food warehouse, or defense contractor in your town, find out what events they put on and whether your music might be appropriate. A good place to start is in the office of human resources. This is generally where some of the nicest people in any company work, and they know the functions and personalities of all the other employees. Finding corporate gigs may take some work. Like any entrepreneur, expect to make a bunch of fruitless cold calls before finding a "yes," but it’s worth the effort. These shows tend to pay well. They can be surprisingly fun, and if you do a good job, it’s very likely you’ll be asked back. Radio is chock-full of local musicians who also work as DJs or producers. Local stations like to support local music. Getting them to play your tracks is great, but playing live on the air is even better. This is a great technique to build your live audience, because you can promote a show you’re playing that same night. If you travel to another town, see if one of the local stations can put you on. These gigs are fun for the DJs as well, and you can let your personality shine through chatting with them on the air. Usually there’s no money in live-radio gigs, but they're a great way to expand your audience and create that cross-promotion that publicists love. After all, the world is full of striving bands. Let yours be the one that shows up everywhere, so people can’t get away from you!